Short post-seeking some advice. 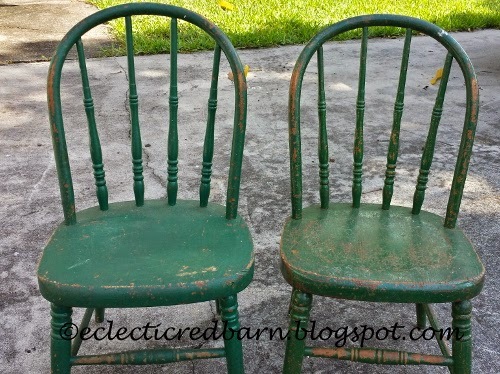 I have had these two green chairs for quite some time. They were painted when I found them and are in great shape. Giving new life to a freebie! When we were in Vermont last month, I found this pot in a pile at a garage sale that was to be thrown out. 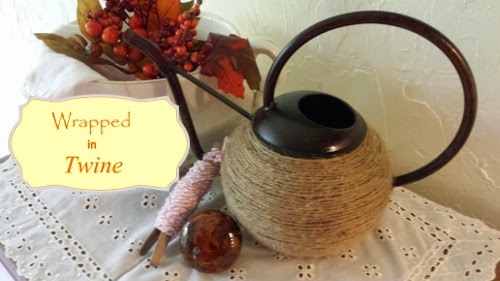 I don't think it was used as a watering can, because there is no hole on the inside where the spout is. Maybe just some decorative piece. It was very rusty. Some how I managed to delete some pictures including the picture of what the original pot looked like. I have never stained a piece of metal, this was my first. I only did the spout and the top. It turned out great. I can't find that picture either. It is a shame, since the staining made a big difference. Welcome to this month's Chain "Linky" CLIMB. I am so excited to be a co-host this week. Check out the great prizes below. Don't forget to add your family friendly blog posts and then check in with other bloggers to help each other grow your blog. See you in the Climb! I love carrot cake, but I don't make it too often because of all the calories. I was so excited when I found this recipe from Better Homes and Gardens that cut the calories off the traditional recipe. Instead of all the oil, you can use mango juice. As some of you my know, I have mango trees and we had so many mangoes this year. 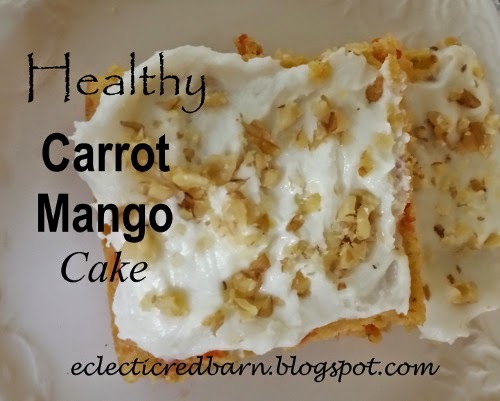 I am always looking for mango recipes, so I am giving this a try. Last month I found this mirror at a barn sale in Vermont with several other goodies. You can see that post here. The mirror was so dirty you could not tell what kind of wood it was. 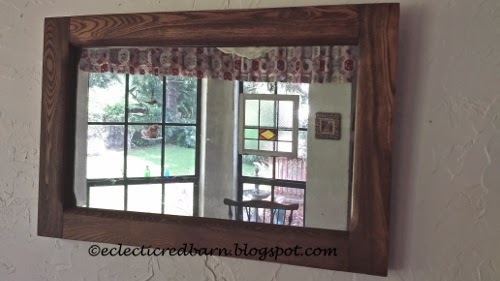 The people who had the barn sale, said the mirror was in the house when they bought the farm. Not sure how old the house was. In addition to being dirty, it needed some work. Wild life in my driveway? We are up at our house in Eustis, FL and when I opened the door to go into the garage, I was surprised to see these Sandhill cranes outside the door. We see them often as we are driving, but never in our yard. 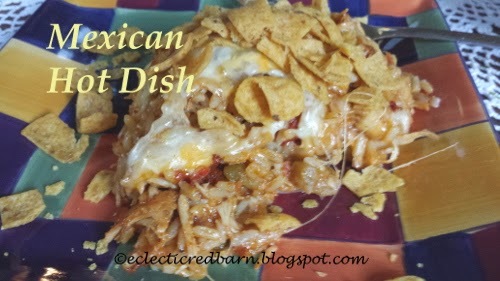 We love Mexican food and when it is easy, that makes it even better. This is a one pan meal. Dump everything into your pan and bake. I also like recipes that are versatile - add ingredients that you like. It is not spicy however. This is not your "I need a quick 30 minute meal", but make it on a night when you have more time or the weekend since it takes about 1 hour and 40 minutes to bake. Every time I serve this, they ask for the recipe. How I love bulk pick up week. Do you have something like that where you live? Once a month, people put out "trash" for bulk pick up. Now it is not really a week, only a day, but people can start putting out "trash" a week ahead. The hard part is competing with the "truckers". These are individuals that ride through the neighbors looking for stuff. Mostly they want items that they can scrap. They can get money for scrap metal - usually by the pound. Most of the time, they beat me to any metal items. Most of my collecting is done within my neighborhood. Last month my neighbor put out these children's cabinets.